Business Process Management (BPM) has been helping organisations formalise how they do things to optimise performance and productivity for decades. Conventional BPM systems have, however, gained a reputation for being complex, beset by constraints and relevant only for large companies. But firms need a solution that could be easily set up, used and continually adapted without any particular technical knowledge. Innovation: EARTO member ARMINES supported Iterop to achieve this goal with an online software-as-a-service (SaaS) solution that tracks and automates processes and workflows in a few clicks. 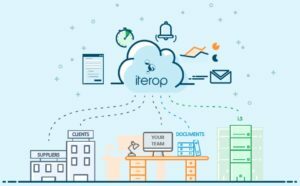 Implemented seven times faster than predecessors, Iterop provides a central application where all processes, documents and information are brought together, enabling employees to visualise, manage and change processes quickly in real time. Impact delivered: The Iterop solution provides a way for all organisations, and SMEs in particular, to make a success of their digital transformation. Iterop’s 50 customers, who include Airbus and the French Ministry of Defence, report a 30% increase in operational efficiency. Iterop has achieved 60% growth over the last three years and predicts sales from subscriptions for the solution will rise from 50% of all revenue to 80% by 2022.